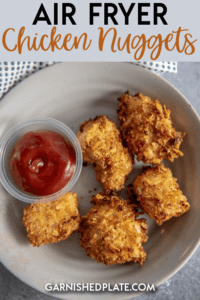 Instead of giving frozen chicken nuggets made from who knows what to your kids, why not try these quick and easy to make homemade Air Fryer Chicken Nuggets instead?! And for a more grown up version, try my Air Fryer Potato Chip Chicken! If my daughter is an expert in anything, it’s chicken nuggets. It’s ridiculous to the point my mom laughs every time we go out to dinner because she can’t believe should order them yet again. But it’s serious stuff around here, and she ranks all the restaurants according to how much she like their nuggets and we’ve tried just about every brand of frozen nuggets at home. 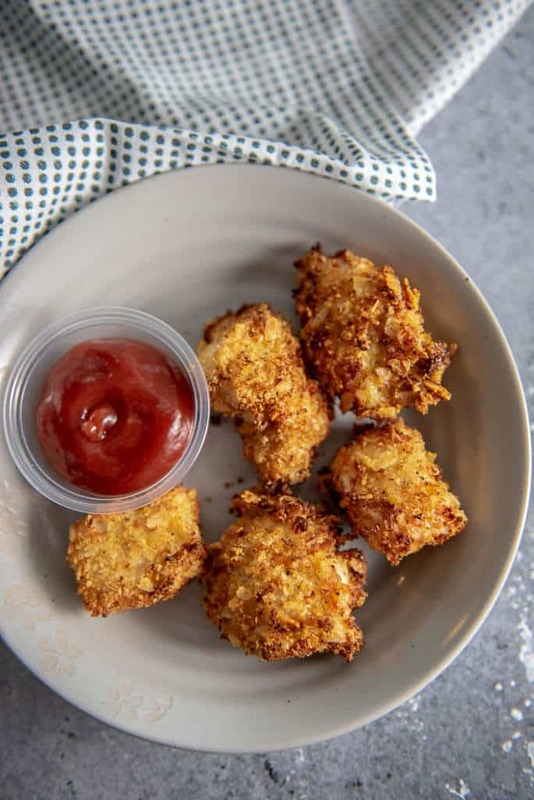 I’ve become quite skilled in throwing some frozen nuggets plus a few tater tots in the air fryer for a quick lunch, but I finally decided to come up with a homemade version that would be just about as easy to make. 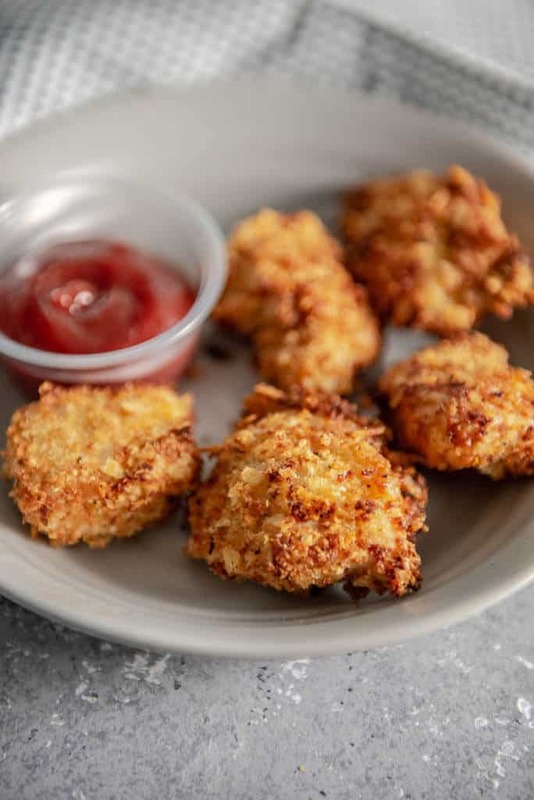 These Air Fryer Chicken Nuggets only take a few ingredients and a few minutes to make from scratch, so why not give them a try! How do you make crispy chicken in an air fryer? Because it cooks so hot and fast, making crispy chicken in the air fryer is almost too easy. You really have to keep an eye to make sure it doesn’t burn. These nuggets took only about 12 minutes. 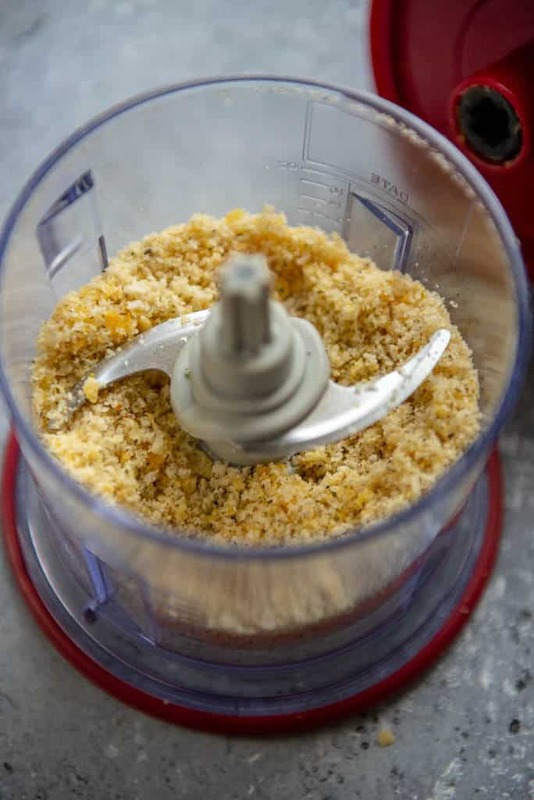 To make it super easy to make the crumb coating, I recommend this mini-chopper which I use to chop veggies and the like on almost a daily basis in my kitchen. 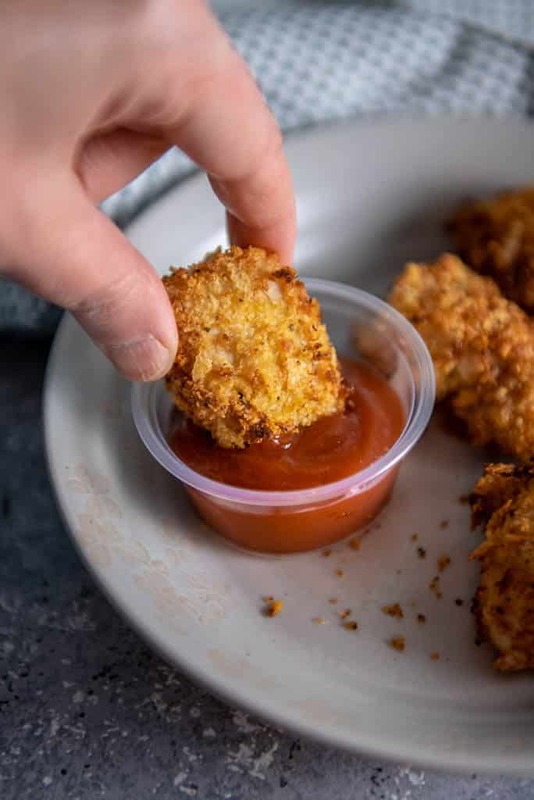 How do you make chicken nuggets from scratch? Because I like to keep things as simple and stress free as possible when it comes to dinner, I utilized a few trick to make these quick and easy. Serve these up with your favorite dip for the perfect kid lunch or even a dinner the adults will love! Still need an air fryer? Here is the one I used for this recipe! I love that it has such a large capacity! 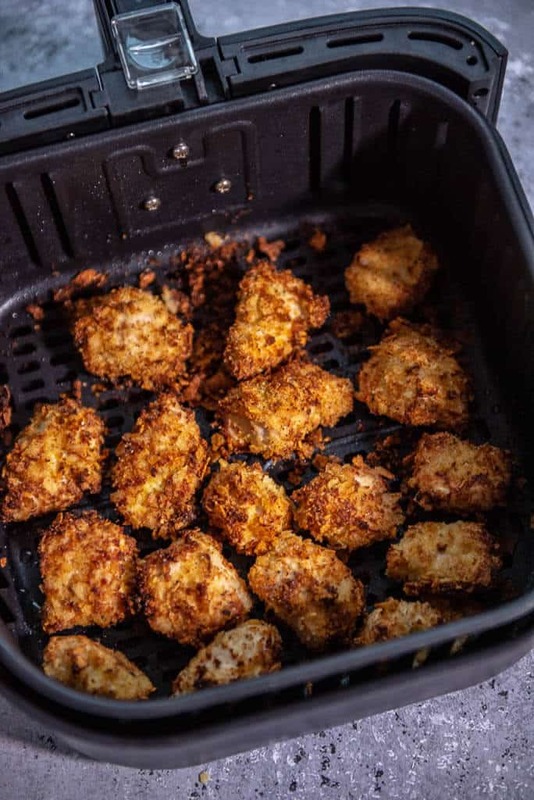 Instead of giving frozen chicken nuggets made from who knows what to your kids, why not try these quick and easy to make homemade Air Fryer Chicken Nuggets instead? !